The Department of Earth Sciences is an interdisciplinary applied science department housed in state of the art facilities. Part of the University of Oxford’s Maths, Physics and Life Sciences (MPLS) Division, the department is home to around 120 undergraduate students, 80 graduate students, 30 lecturers, 60 researchers and 30 administrative and technical support staff. Laboratories and offices are complemented by spacious social zones, lecture and conference rooms, a library and a stunning entrance atrium. 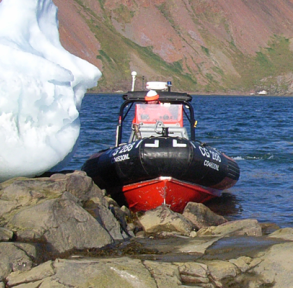 Faculty and researchers demonstrate expertise across many areas of the Earth Sciences. Our aim is to conceive and conduct world-leading research into the processes that shape the formation and history of the solid earth, its oceans and atmosphere, and examine their mutual interactions and effect on the earth’s environment and biosphere. Much of this work is interdisciplinary, and is driven by interaction with collaborators across the physical and increasingly the social sciences. Our research in geophysics and geodynamics seeks to understand the structure and dynamics of Earth’s interior; the response of the lithosphere to loading; the mechanics of earthquakes; and the fluid dynamics of geological materials. Our work relies on analysis of observational data and on the application of rigorous mathematical techniques, typically utilising high-performance computing facilities both locally in Oxford and nationally. Observation, analysis and modelling of the biology, chemistry and physics of the ocean system integrates with study of the past from sediments and elsewhere (e.g. cave deposits) to assess the operation of the climate system in varied modes, and at a range of timescales. The Department’s physical oceanography research is also a core component of Oxford’s membership of an Academic Partnership with the UK Met Office, a mechanism for the Met Office to incorporate new academic research into its climate forecasting, models, services and policies, and to indicate (and fund) research to address specific scientific challenges. We study the origin and internal development of the Earth and other terrestrial planets, and the chemical and mineralogical behaviour of planetary materials, with significant expertise in the application of isotope geochemistry and experimental mineralogy. Substantial funding from the European Research Council and NERC underpins a range of research goals and has equipped the Department with a world-leading suite of geochemical and experimental petrology instrumentation. Our research advances techniques and applications in Earth Observation (EO), and integrates these with field measurements and modelling to improve understanding of the processes causing earthquakes and volcanoes, both on land and at sea. We are at the forefront of rapid scientific assessment of tectonic and volcanic hazards, securing urgency funding to analyse post-event deposits or to make assessments of possible future events. Oxford researchers are active in the BGS partnered COMET (Centre for Observation and Modelling of Earthquakes, Volcanoes, and Tectonics) research centre, having provided the funding director (2008-13) and two of three current deputy directors. We are core to a number of major interdisciplinary programmes aimed at evaluating, monitoring and mitigating hazards from earthquakes and volcanoes in central Asia, East Africa, and South America.